With heavy hearts, we announce the birth and death of our second son, Duncan Thomas. 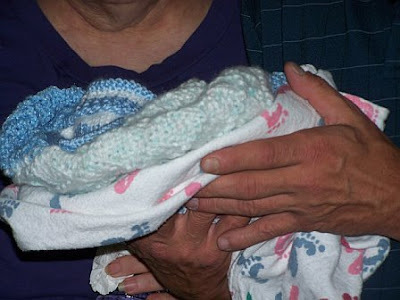 We were able to spend time with him, hold him, photograph him, and introduce him to his grandparents. We feel blessed for the six months he was with us, and choose to rejoice in his life, though we don't understand its brevity. We covet your prayers as we grieve and heal, and as I recover from delivery. I'm sure more posts about our experience and about our time with Duncan will follow, but for now ... thank you for your love and support. No words - except many to Him as I pray for you and your family. Please take care of yourself and your family during this time. If there is anything I can do, and I mean it! you just ask. I am right here. I'm so sorry to hear this. Just know that I'll be praying for you and your family. So, so sorry. Still praying, sweet friend. Check out some of the comments on your previous post if you haven't already. Some of my blog readers left you a few messages there. I am so so sorry for the pain and loss you are experiencing now. I would take it away if I could. Lots of love is being sent your way from PAL and from my family. I hope that your recovery goes as smoothly as possible, and that you are able to take some comfort in your family, loved ones, and freinds (virtual or IRL) as we surround you with our love and support. I am so sorry Monica. Please know that you and your family are in my thoughts and prayers. Oh, Monica, I am so sorry to hear this. I am so so sorry for your loss. Your family will be in my prayers. I am so sorry but thankful he got to go immediately to heaven and will be waiting for you there with all your loved ones. So,so sorry to hear of your loss. Praying for you and your family. I'm so sorry. I know no words anyone says can comfort you right now, but I know that we can all pray for you, and I will. I am so sorry for your loss. No words to comfort you I'm afraid, just know that sweet Duncan is in good company in heaven. Monica, I'm so terribly sorry for the loss of your son. I am praying for you and your family. I'm so sorry to hear about the loss of your baby boy. Praying for peace and comfort for you and your family. I love you all and you are in my prayers. I'm sorry for your loss. I know that doesn't take the pain away but I will be thinking and praying for your and your family during this difficult time. Such a sad and heartbreaking ocassion. You and your family has my deepest sympathy and prayers for healing for your hearts and understanding for your minds. Praying for you right this minute. May God cover you with comfort, peace, and healing. May God's peace be with you and your family! im so sorry no words can comfort you right now as i went thru the same thing , six yrs ago with Matthew i was seven months along and 3 weeks ago with Micah i was 3 months along. I will be adding you to my prayer list, I found you thru Kelly's blog.Just know God know what is best and as hard as it is we have to trust him and his infinite wisdom he has a plan for everyone and we are at his will.We will be praying for your family . Thinking about you and your family today! I am just heartbroken for you, Monica. I have no words other than to say I am praying for you all. hugs! I am so sorry for your loss. You have been on our minds and in our prayers the past couple of days. Mike and I sat together and cried this morning after getting your email. We will remember May 19and sweet Duncan's life. We are here for you when you come back to TN. Monica - I am here from Isaac's mommy's blog. Not many words, just lots of tears for you tonight. Praying for you and sweet Duncan. I really don't know what to say - but that I'm thinking of and praying for you and that sweet family of yours. Praying for you that the moment by moment strength of Christ will be with you in a loud and profound way. So sorry to hear of your loss. You and your family are in my prayers. Oh Monica, I'm so sorry to read this. My prayers are with you and your family. I hope you are doing alright. Know we are thinking of you and praying for you. I had no idea until today. Keep the faith and pray hard. Now is the time to stand near God. He will heal your hearts. Praying for you! There are no words. Lifting your family up right now. My heart hurts for you and your family! Please know you are in my prayers! There are no words. I am just so sorry. Holding you guys close in prayer. I pray that you are feeling "held" right now by the body of Christ. My heart is breaking for you! Praying for you and your family. I'm so, so, so very sad to hear about your loss. I'm praying for you and your family. My heart breaks for your sweet family. May God wrap you in His comforting arms. Praying. I am so, so sorry. I'm just so sorry and I will be praying for you and your family. Here from Kelly's blog. Praying for you and your family. I am so very sorry. I'm here from Kelly's blog - I'm so, so sorry for your loss. Sending prayers up. I am so very sorry for your loss of sweet Duncan. I'm praying for you and your family. Sending you endless love and hugs. Carrie in Semmes, Al is praying for all of you. It grieves my heart to hear of a little one who goes to be with Jesus so soon. With no answers and so many questions....may Gods love and grace be a comfort to your hearts. I am so sorry for your loss....praying for you. Please know you are in the prayers of many. There are no words to tell you how very sorry I am. All my love and prayers to you sweet friend...and to Jim and Seth and the rest of your family. i am so sorry you. i'm praying for you and your family. God bless you as you cope through this loss. Praying that the love of our Father will carry you through. I am so very sorry. I am here by way of Kelly's blog. I've been reading thru your older posts and as happens sometimes, feel like I "know" you. Please know that I am lifting you up from Virginia. Oh Monica, what an awful shock. I'm so so sorry. You and your family are deep in my prayers. I can't imagine what you must be going through. I'm so sorry for your loss. I will be praying for you family during this awful time. I found your blog through Kelly's. I am praying for you and your family! Hang in there!! There aren't words. Believe me, I know- I too lost my infant son very recently, so I know that nothing anyone says or does can bring you comfort now- but know there are others who feel your grief, and are here if you need a shoulder, a friend, a prayer. I ran across your blog on Kelly's Korner. My thoughts and prayers are with your family at this time. I came across your blog through Kelly's Korner. I am so sorry for what you are going through. I will keep your family in my thoughts & prayers. Prayers for healing and recovery for and for His peace for your family from Kendra's sister, Amanda. I'm so sorry to hear this. Just know that I'll be praying for you and your family. I am so sorry for the loss of your beloved, Duncan. Please feel the love and comfort from your family and friends... and most importantly from our mighty Savior, who is holding sweet Duncan and smiling down on you. Lots of hugs and prayers to you. Little baby Duncan has a wonderful momma! Words cannot express how sorry I am to hear this news! Your family is in my prayers! I am so sorry for the loss of your precious Duncan. I will be praying God's continued comfort and sufficient grace for you and your family. Please let me know if there is anything else we can do. We do not charge bereaved families for our products or services. I have walked this path...and my heart is broken with and for you. You can email me @: sufficientgraceministries@gmail.com. I don't know you, but wanted to express my sincere condolences in the passing of your sweet baby boy. I am praying for peace and comfort for you and your family. Monica..over from Kellys Korner...I am so sorry to hear of the news about your litle angel. Prayers for your family..
May the peace of CHrist be with you and your family. Mollie told me about you and your sweet little son. Congratulations on birthing such a precious gift. I am sorry you had to give him to Jesus so soon, though. I have been exactly where you are right now only two short years ago when my daughter died at 26 weeks. If you need someone to talk to, just let me know. Praying you physically heal quickly. I am so sorry for your loss. Many prayers. Monica - my heart is so heavy for you. Sending lots of prayers to you, Jim, and Seth. I am so sorry. So sorry. My daughter Angela weighed the same amount and was the same length. I am crying. I know your pain, and I'm sorry we share it. Hold on to each other with all that you have. I am so so so sorry. I'll add my prayers to the Bouquet of Love going up for you and your family. Monica-You have stopped by my blog a few times to offer some encouragement in the past. My prayer is that God will be near you in the coming days, and will provide the strength and grace you need to hold on. May your memories with Duncan stay strong, God Bless and take care. Oh Monica, I am so, so sorry to hear about your loss. You have been through so much. Love and prayers. I'm so sorry for your loss, and pray for peace and healing for your family. I am so sorry for the loss of your son but please take comfort in knowing that the Lord needed him in heaven instead of here on earth :) I will be praying for your family. =( I will pray that things go quickly for you. All our love to you both. Keep me posted. I'll be checking in. hey friend. I just want you to know that today you are my superhero! The Lord has been told several times that I don't think I could ever handle this. The fact that God knows you can makes you she-woman. Give "Sawyer" a hug and tell him Aunt Jen loves him. I am so here for you when you come home. Love you! Thinking of you right now....HUGS...will check in later...HUGS some more. Give your sweet boy a kiss from me. If you need anything, you let me know. I am waiting with you...Lord, come quickly! I just heard "I Will Rise" on the radio and am just sobbing...may the Lord bless the day He calls Duncan's name. Oh Monica, I knew he was coming. I just knew it. That song came on the radio just about that time (about 15 minutes ago) and I just knew. I bowed my head and just started crying and praying. Peace be with you, sweet friend. Oh Monica....Take care. I love you and enjoyed our chat today. we'll tak soon. Thank you for letting me know. So much I want to say but at the same time not sure what to say so....call if you need or want to talk. Love you and praying for you. Hello Monica -- I am Jeanette Foster's mom and was deeply saddened by this news. One day again you will see your sweet Duncan -- I am praying for you and your family and also wanted to share this beautiful poem with you. Rest in His care--He cares for you and knows all about it! Never to know a single tear nor stab of searing pain. Salty taste of tears never to cross their face. Untouched by earth’s shadows and darkness of night. Whose grace sparkles and tender ways smile with unearthly perfection. Yet my arms feel empty. And I shall see them face to face and hold them when I’m there. ‘Til I am with you there. I'm so sorry for your loss. I stopped by from Jeanette's blog, and just wanted to say that I will be keeping your family in my prayers. Take care. God bless you and your family Monica. I am sorry about your loss of sweet Duncan. THanks for sharing. Prayers for all of us. ANd your new pics of Seth are so very cute!